The first quadrennial unified local elections to be held after the voting age was lowered to 18 in June 2015 are being hampered by concerns about the youngest voters’ low voting rate. Since most are going through important life changes in April, such as entering college, starting work and moving to new homes, they tend to have little interest in the local elections. In the most recent national elections — the Upper House poll in 2016 and the Lower House poll in 2017 — the turnout for 18-year-olds was higher than for 19-year-olds, apparently thanks to high school efforts to teach the importance of voting. Turnout was tallied at 51.3 percent for the Upper House poll and 47.9 percent for the Lower House poll for 18-year-olds, but 42.3 percent and 33.3 percent, respectively, for 19-year-olds. But because the local elections this year are taking place during spring vacation, after 18-year-olds graduate, many aren’t getting the encouragement from their teachers to go out and vote. The first wave was held on April 7 and will be followed by a wave of municipal elections on April 21. 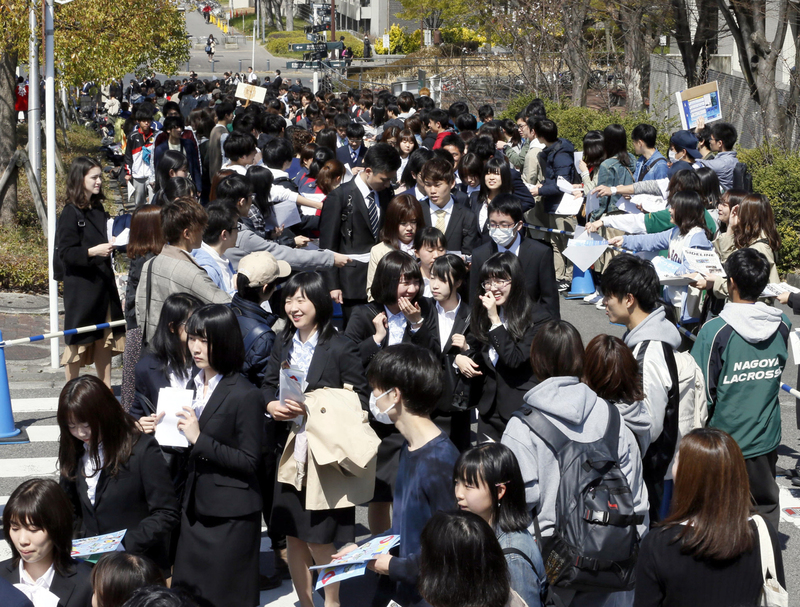 At Nagoya University’s entrance ceremony on April 5, 18-year-old medical student Kiyotaka Matsui said it would be difficult to cast his ballot for the Nagoya Municipal Assembly election two days later. “I am busy now, attending welcome parties for first-year students and deciding which clubs to join,” he said. Regardless of age, average turnout for the unified prefectural assembly elections in both 2015 and 2011 was below 50 percent, compared with 54.7 percent for the 2016 Upper House election and 53.7 percent for the 2017 Lower House election. While candidates for national elections tend to emphasize the policy differences between themselves and their rivals, such differences are less conspicuous in municipal and other local elections. 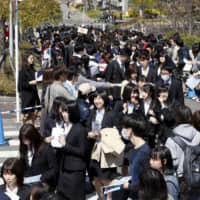 “It is even more difficult for young people, who have less experience voting, to understand the differences,” said Tadashi Mori, professor of politics at Aichi Gakuin University in Nagoya. Furthermore, those who have moved to a different prefecture and changed their resident registration don’t have the right to vote in the new prefecture unless they registered three months before campaigning began. If they leave their resident registration documents in their hometowns, they can cast ballots there. But an 18-year-old from Hyogo Prefecture who entered Chukyo University in Aichi said it’s not worth the trouble. “It’s a hassle to go back to my hometown just for that,” the freshman said. Chiryuhigashi High School in Chiryu, Aichi Prefecture, offers classes to raise political awareness, but the last class for those who graduated this spring was held in November. “I was wondering if they would go to the polls,” said Tsuyoshi Masui, the 50-year-old teacher in charge of the class. On the same day that the graduation ceremony was held at Usui High School in the city of Fukui in March, officials from the Fukui prefectural election administration commission paid a visit. They explained the details of how to participate in early voting for the gubernatorial and prefectural assembly elections before any of the students could move out of the prefecture. In the end, however, it is often the candidates themselves who influence youngsters’ minds and get them to go to the polls. This section features topics and issues from the Chubu region covered by the Chunichi Shimbun. The original article was published April 6.